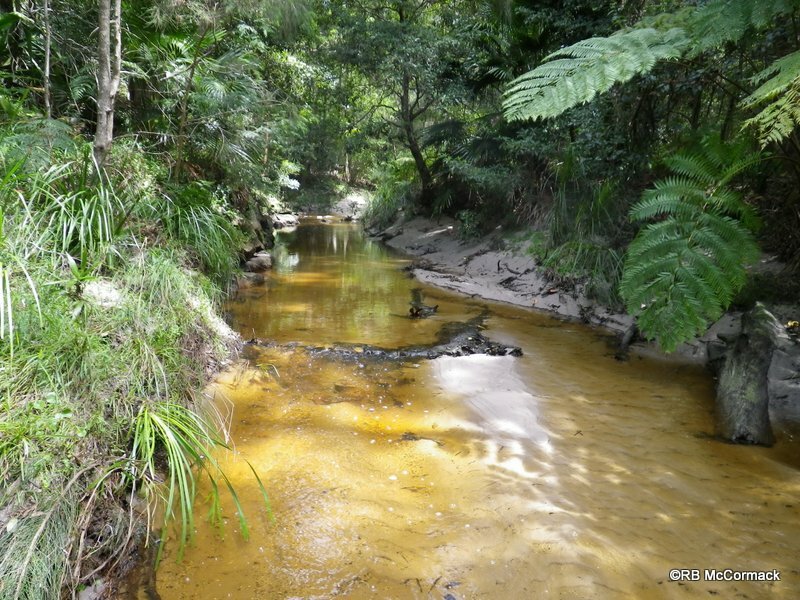 As Part of the Australian Crayfish Project and a sub project 100056 we have been conducting aquatic biological surveys the whole of the Gosford LGA. This project is major sponsored by Australian Aquatic Biological and receives sponsorship from Gosford City Council under their Ecological Research Grants scheme 2010. 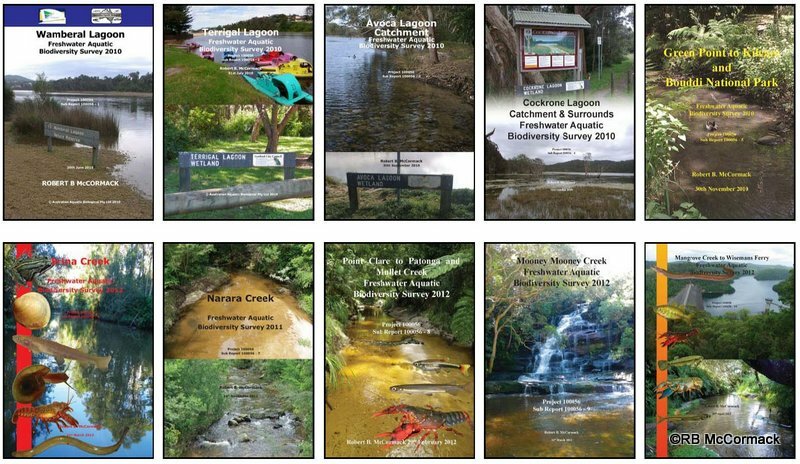 The project reached fruition in May 2012 with a total of ten aquatic biological catchments reports being issued to Gosford City Council. 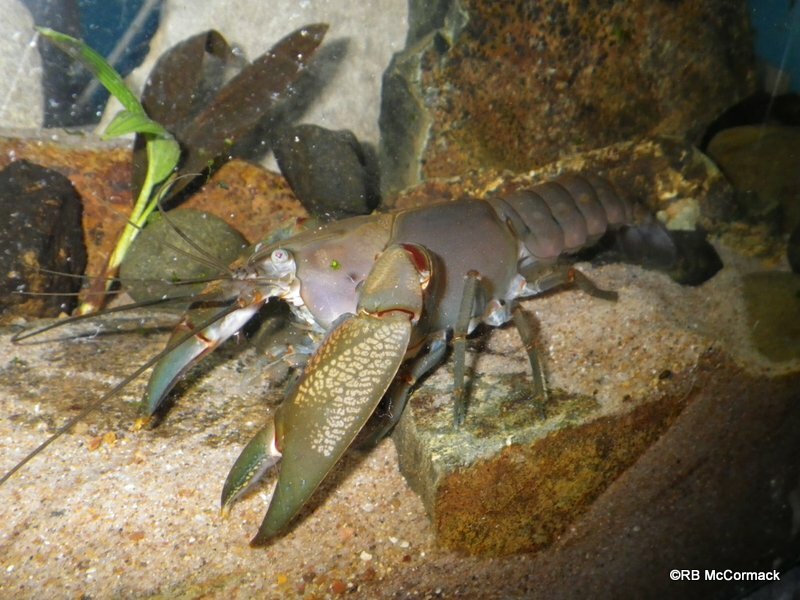 The biological surveys were undertaken as part of both the broad Australian Crayfish Project (ACP) and Australian Aquatic Biological Survey (AABS) and a targeted sub-project on the Gosford LGA, Project 100056, Australian Aquatic Biological 2010. Surveys of the Gosford LGA are completed on a catchment/drainage basis and a total of ten catchment areas were independently surveyed. 7 Narara Creek 100056-7 Completed 67, 77, 78, 86, 87. This was a two year project that discovered much new information The primary aim of Project No. 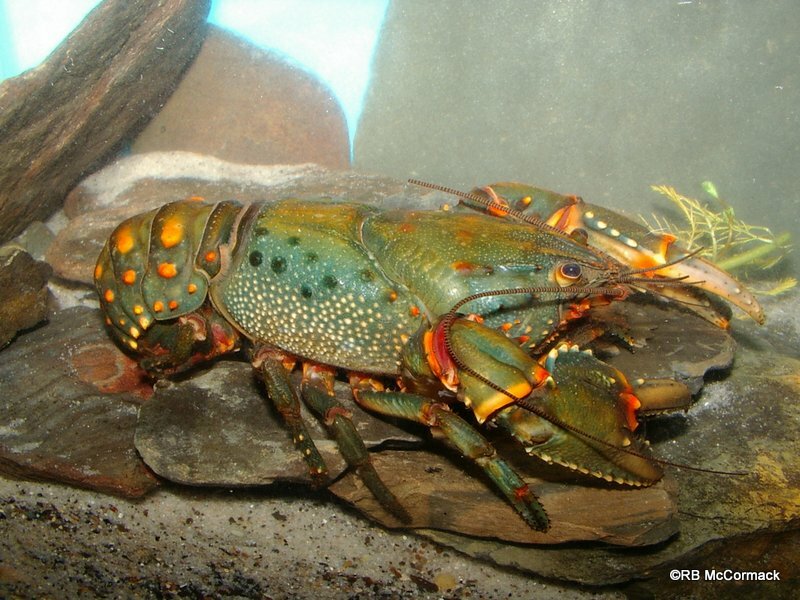 100056 is to determine what freshwater crayfish occur where in the Gosford LGA. 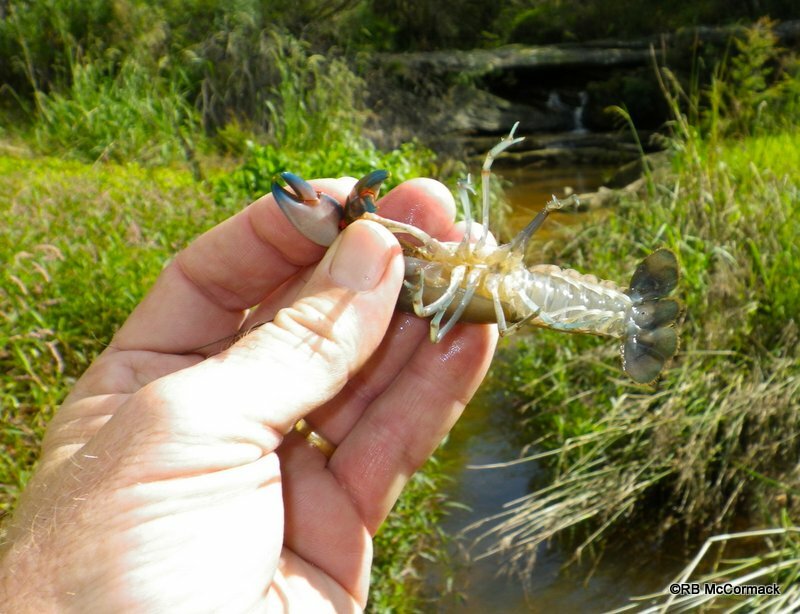 Primarily freshwater crayfish are the priority and the Gosford LGA represents a significant area for crayfish distributions, yet little is known on the distributions of crayfish in this area. Prior to the start of this research project only two species have recorded distributions within the LGA (Euastacus australasiensis and Euastacus spinifer) yet the extent of their distribution are unknown. Additionally, the area includes a number of coastal lagoons, lakes and streams all with independent catchments draining directly to the Tasman Sea that have been isolated from each other for millions of years and many containing unrecorded crayfish species. The project also records information on all the other aquatic fauna found in the LGA as well as information on landforms and vegetation. 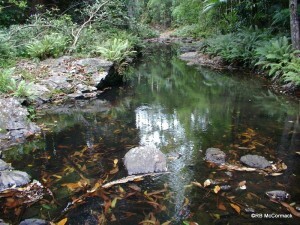 All this is in order to facilitate the better conservation and management of the aquatic ecosystems of the Gosford LGA. We managed to map the distributions of four freshwater crayfish species that occur in the Gosford LGA. 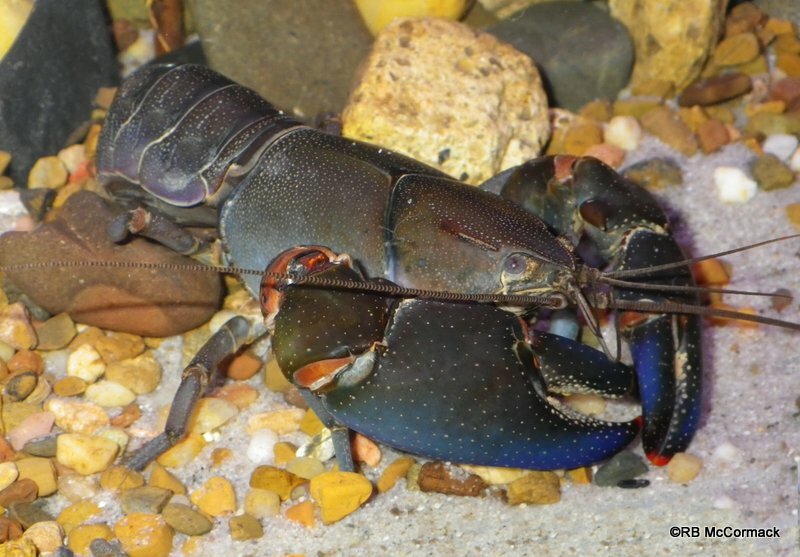 Euastacus australasiensis, Euastacus spinifer, Cherax destructor and Gramastacus sp. 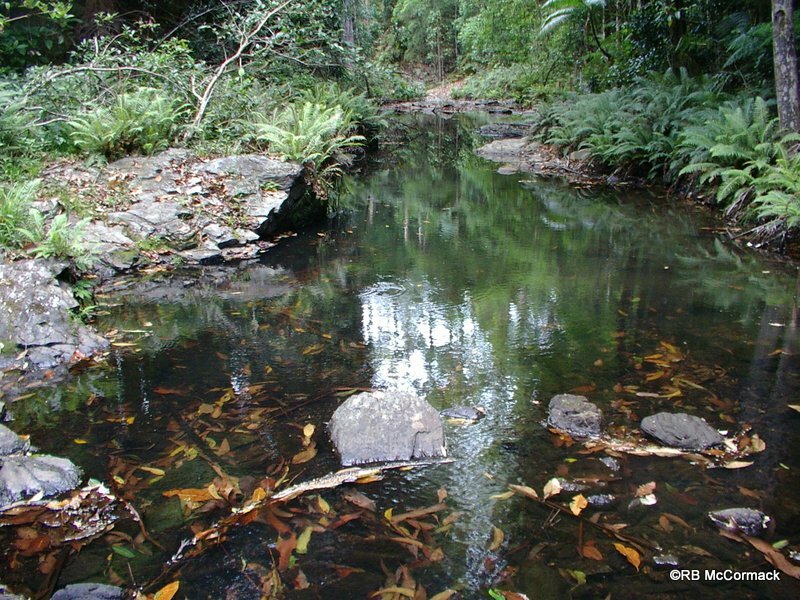 Australian Aquatic Biological P/L Report 100056-8 to Gosford City Council included a survey of Green Point Creek at Pearl Beach, NSW. The creek was surveyed at the crossing on Diamond Road. Here the creek here was strongly flowing over a sandy stream bed. There were shallow areas and deeper holes. The banks had some rock retaining walls but were well shaded with ferns and palms, etc. The creek was extremely healthy with abundant aquatic species present. Some plague minnows Gambusia holbrooki were present, we observed a small long finned eel, several flat headed gudgeons, many striped gudgeons and common jollytails. Further upstream at Tourmaline Avenue the creek was surveyed again, here the stream was again sandy based with deeper holes and looked in excellent condition. 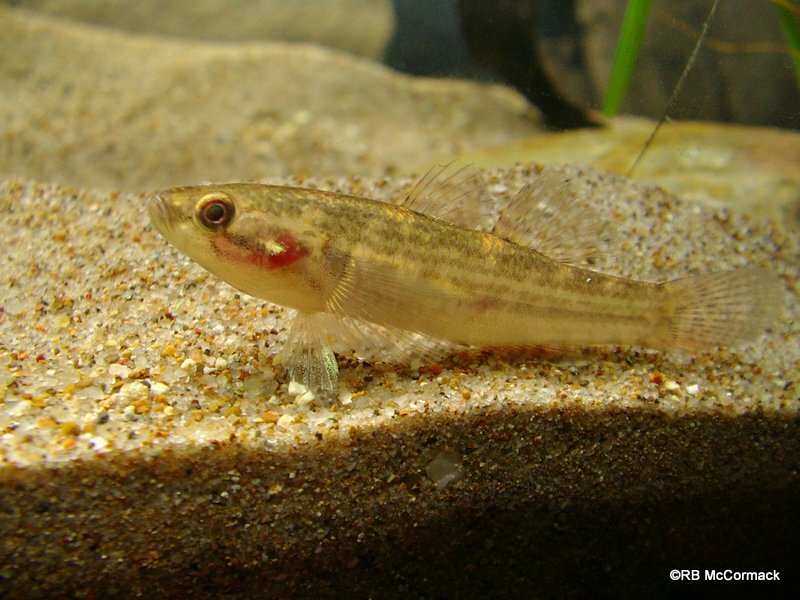 We surveyed the stream finding only dozens of striped gudgeons and surprisingly the White Cloud Mountain minnow Tanichthys albonubes. 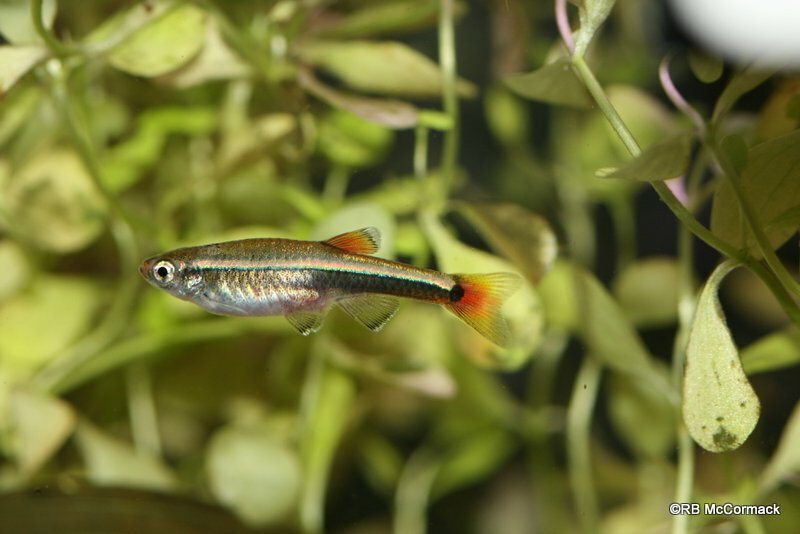 The White Cloud Mountain minnow is an exotic freshwater fish. 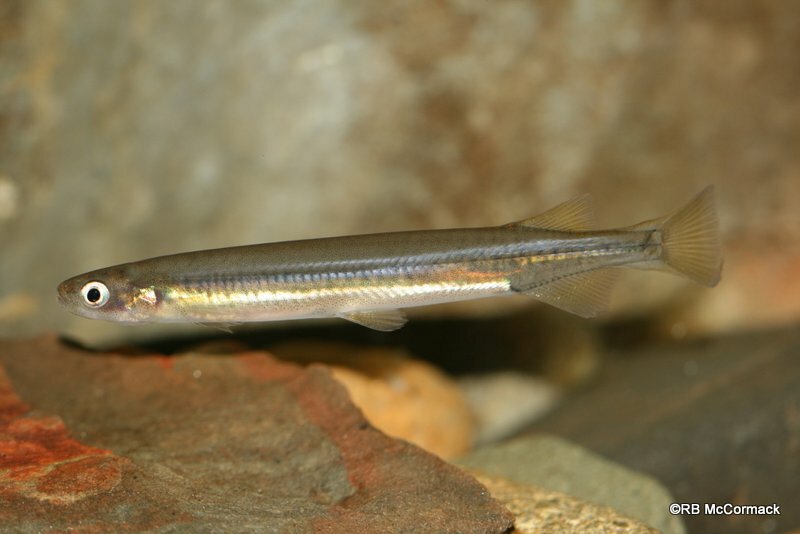 It is a species that would normally be found in a fish tank so it is alarming that this exotic species is established in numbers within this stream. It is a robust species and a member of the carp family being a native of China. 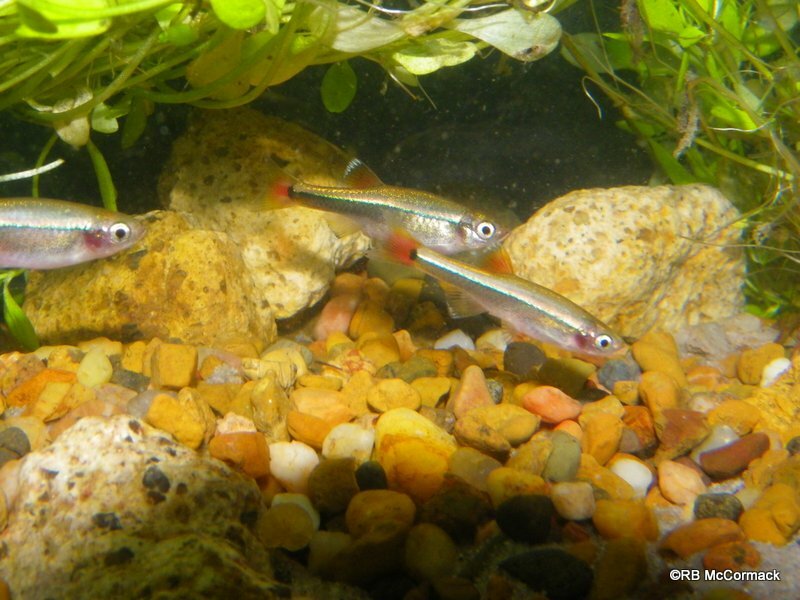 Their robust nature and bright colouration makes them popular as an aquarium species and they are not normally found in natural waterways of NSW. I did some research on this species and found that, NSW DPI has known about this feral population since late 2002 and continues to monitor the situation. Unfortunately, one of the specimens collected was gravid so conditions were suitable for breeding which is a big worry. Discussions with residents in the area report Australian Bass and eels in the deeper holes and freshwater crayfish further upstream. Discussions with the Australian Museum also record this species from Piles Creek at Somersby, NSW. We did a preliminary survey of this creek specifically targeting the White Cloud Mountain Minnow but were unable to find it. That does not mean it’s not there however, it does indicate that it’s not proliferating well and numbers are either very small or scattered, etc. 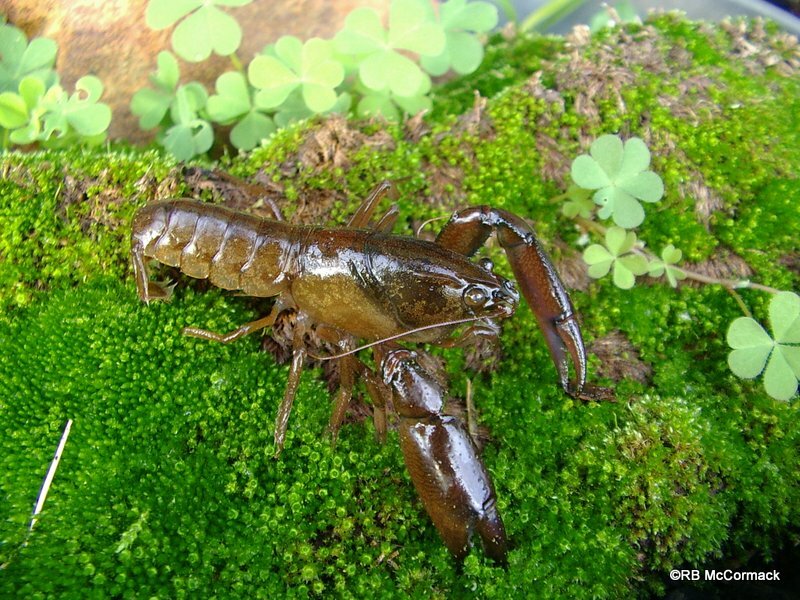 Unfortunately, we did find invasive Cherax destructor proliferating in the stream so that was not so good news. Jason and I have been researching the setose yabby for some time now. 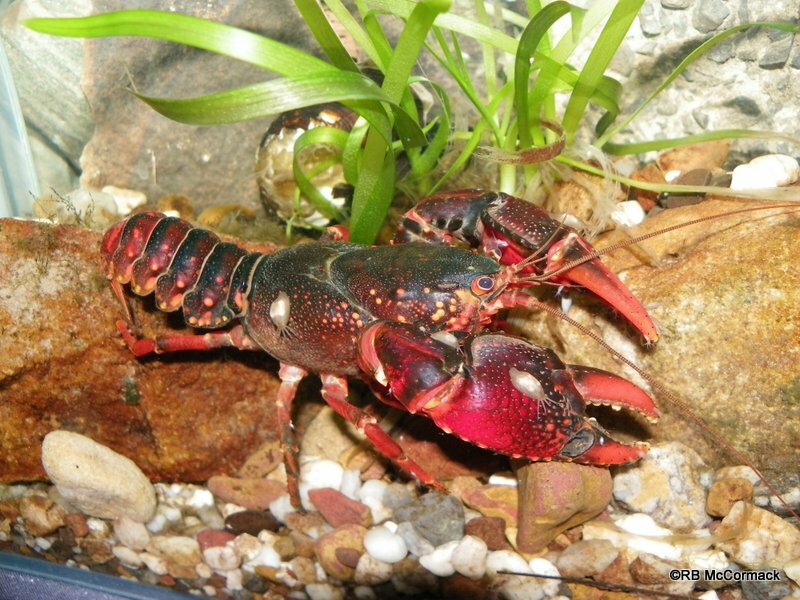 This is one of the four terrestrial type Cherax crayfish that occur in Australia and it is part of a series of research projects on these four species (Cherax rotundus, Cherax sp. nov., Cherax punctatus and Cherax setosus). All these species prefer terrestrial habitats and display heavy setation on the lateral propodal surface of the claws. Euastacus hystricosus is Queensland’s largest giant spiny crayfish species. It is a crayfish covered in numerous sharp spines that grows to a huge size. Found in the upper reaches of the Mary and Brisbane rivers, the ACP has been researching this amazing species.